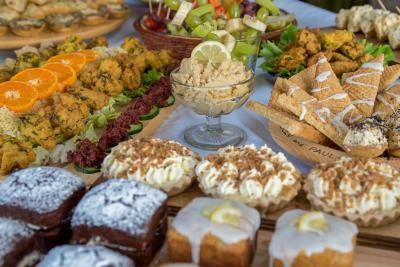 Molly s is an outside catering business specialising in healthy, delicious vegetarian buffets. 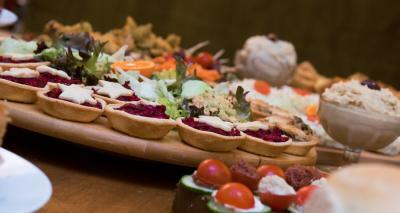 I offer a personal service where you can pick and choose from the menus, creating your own bespoke buffet. All food is freshly prepared in a professional kitchen using the best quality ingredients. Molly s has been awarded a 5 star rating!! I have been a vegetarian caterer for over 30 years including 13 years as the previous owner of The Warehouse Café in Birmingham City Centre. 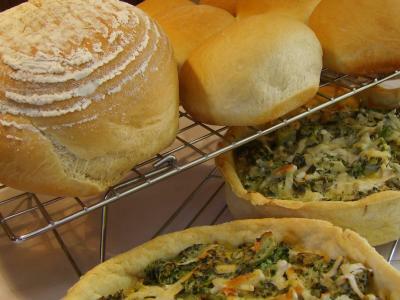 Molly s is now based in Telford, catering across Shropshire. 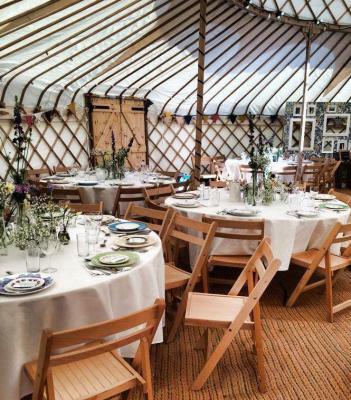 If you’re getting married in a yurt, hosting a party in the garden, celebrating on a barge or organising a lunch buffet in the office, we will deliver to your venue. I support Fair Trade and use locally sourced and British products when possible. As I like to use seasonal fresh fruit and vegetables we have developed recipes to enable us to change with the seasons. Waste food is composted and I reuse or recycle glass, plastics and paper. Whatever the occasion be it a birthday celebration, wedding, board meeting, funeral, children’s party or any special event either inside or outside, I will provide you with an interesting, healthy feast.